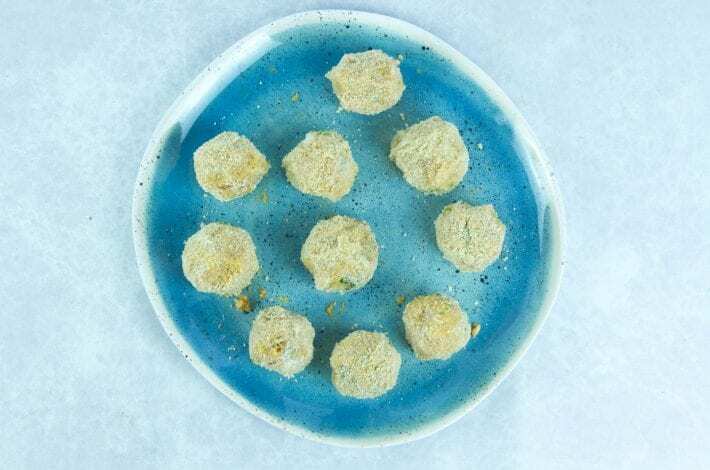 These salmon fish balls are seriously delicious, crispy on the outside and creamy on the inside, and they only take 20 minutes to put together. Kid friendly? You bet! 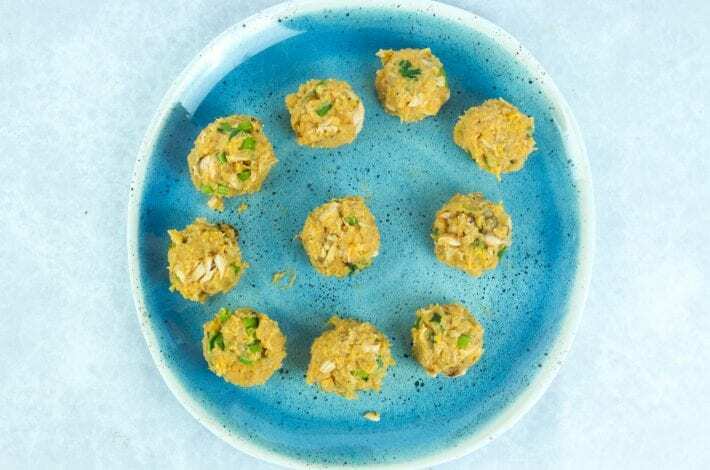 If you have a fussy eater who loves their fish fingers a little too much, these Omega 3 packed salmon balls could be just the ticket. Known in Russia as tel’noye, salmon balls are a staple of Russian cuisine. 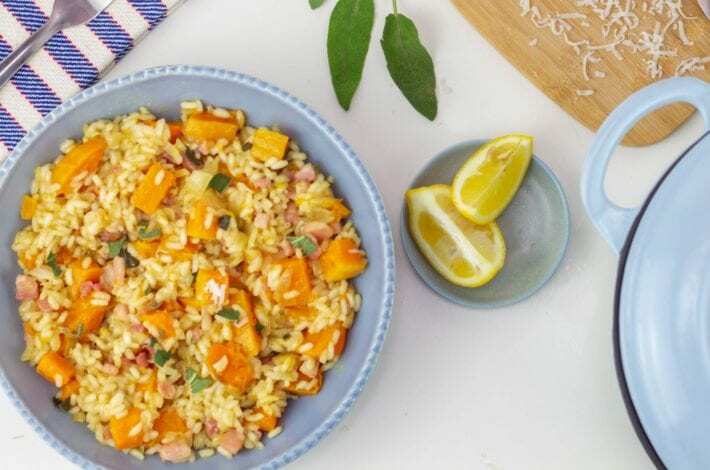 Every Russian has fond memories of being served different variations of tel’noye – known as the people’s food. Traditional tel’noye is made with flaked salmon and stale bread. 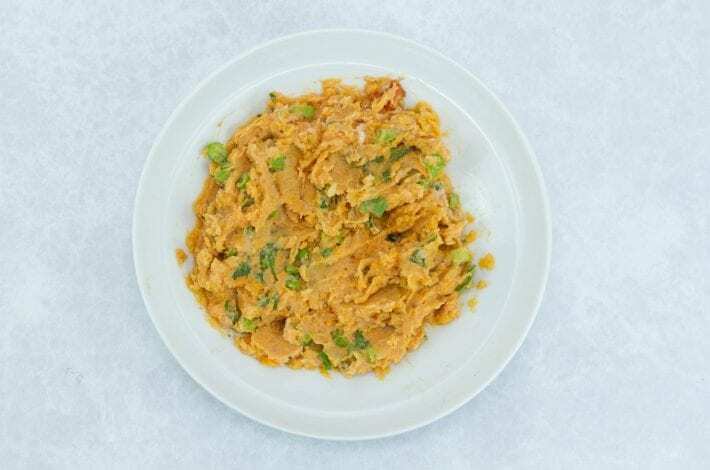 We’ve updated this classic Russian dish by replacing the stale bread with a combination of potato and sweet potato, which makes for a creamier filling that balances the taste of the salmon. We’ve shallow fried our salmon balls, but you can also oven bake them for 20 minutes. The exterior may not be as crispy when oven cooked but they will still be very tasty. How are salmon fish balls made? Salmon fish balls are made by cooking a few of the ingredients first. You boil the potato and sweet potato and grill the salmon fillet. 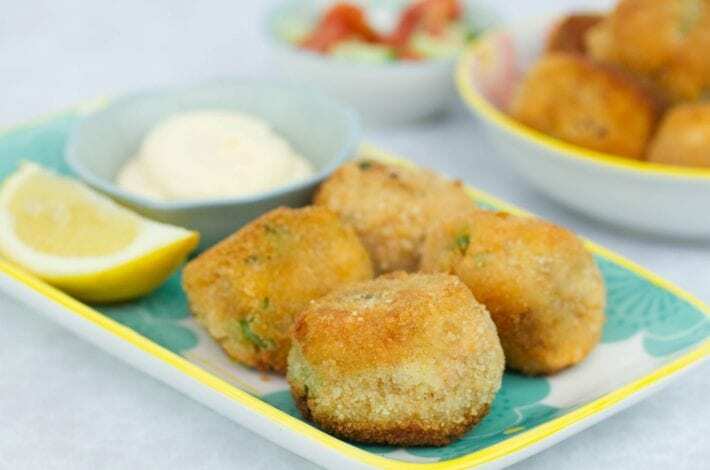 These cooked ingredients are then mashed together in a bowl together with the remaining ingredients like parsley, egg and passata, to make a deliciously creamy salmon fish ball mixture. You then take a handful of the mixture roll it into small balls with your hands. These are then dipped into some flour, egg and then coated in breadcrumbs and shallow fried in a pan. 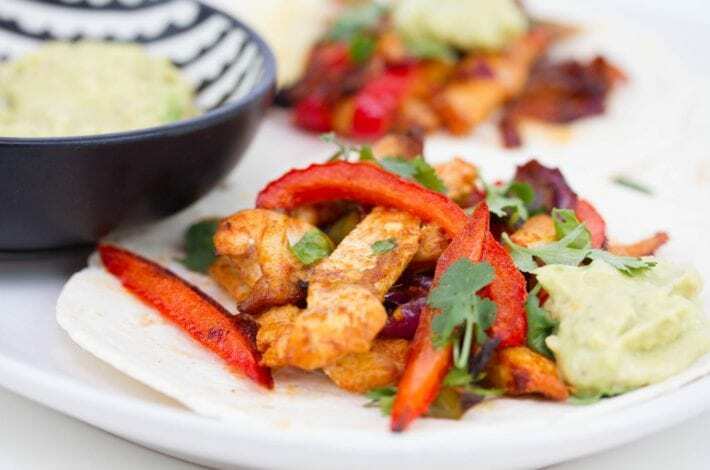 Simple to make, you then have a nutritious meal for little ones as well as for the whole family. Are salmon fish balls healthy? 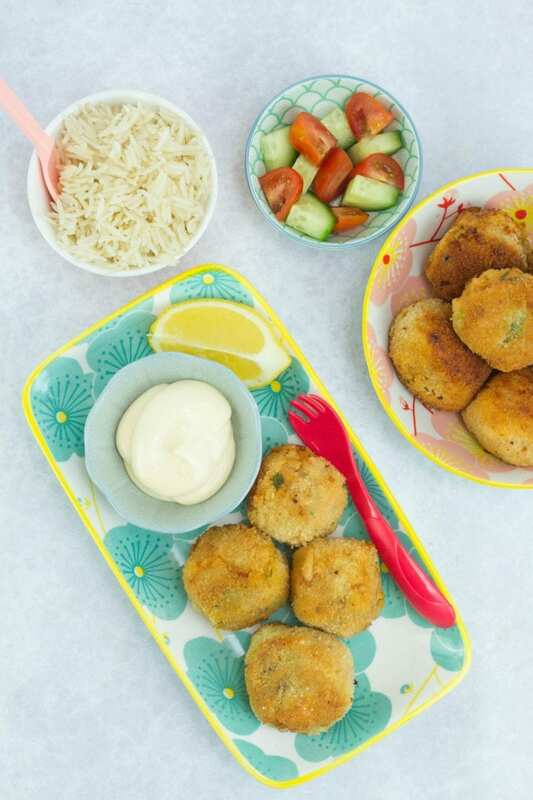 These homemade salmon fish balls are made with all fresh ingredients. 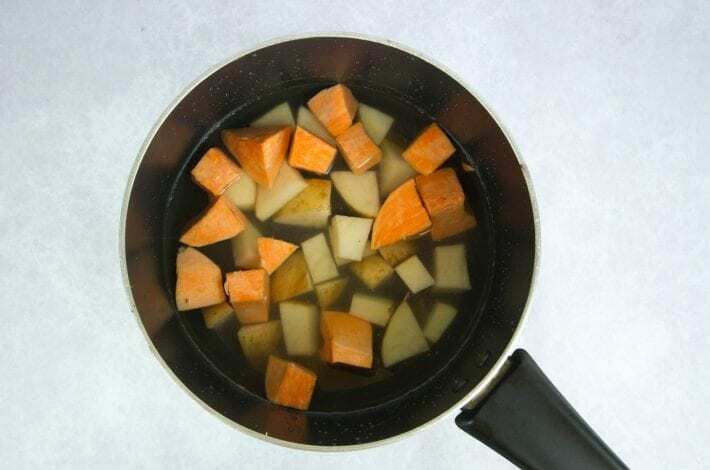 Sweet potatoes and potatoes are freshly boiled and offer a good amount of fibre as well as many vitamins and minerals. Potatoes have no fat, sodium or cholesterol. They contain nearly half of your recommended daily allowance of vitamin C and they also have potassium, vitamin B6, fiber, magnesium and antioxidants. Sweet potatoes contain iron, calcium, selenium as well as B vitamins and vitamin C.
The freshly grilled salmon fillet is rich in Omega-3 fatty acids as well as being a great source of protein, high in B Vitamins and a good source of potassium and selenium. These are then mixed and rolled into small balls which are shallow fried in a few tablespoons of cooking oil. 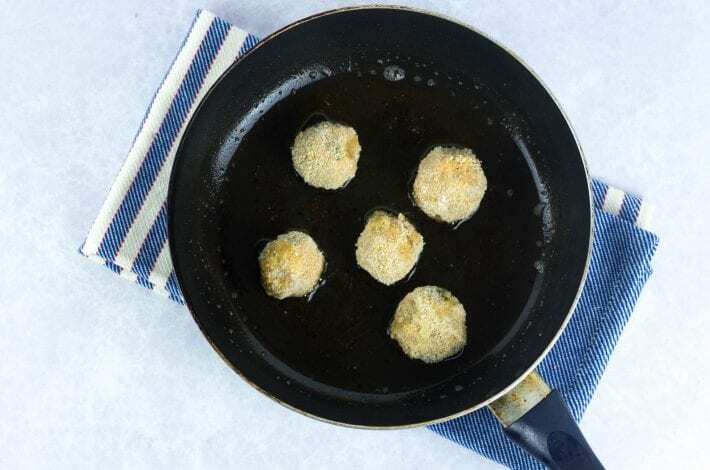 Shallow frying means that they still get that crispy coating while also containing much less fat than the traditionally deep fried salmon fish balls. 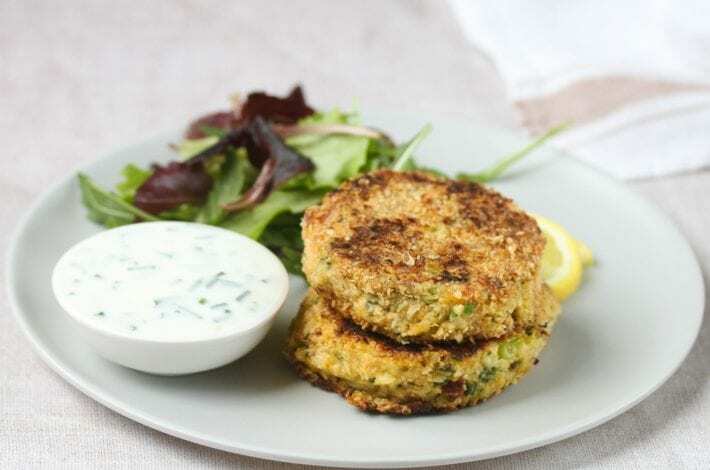 You can serve them with some rice or pasta and more fresh vegetables for a nutritious meal. Peel and chop the potato and sweet potato. Boil them in a saucepan full of salted water for 20 minutes. Drain the potatoes, mash with a fork in a bowl and set aside. Heat the butter in a frying pan. Squeeze lemon juice over the salmon and grill until the salmon is no longer pink inside. Flake onto a plate and set aside. 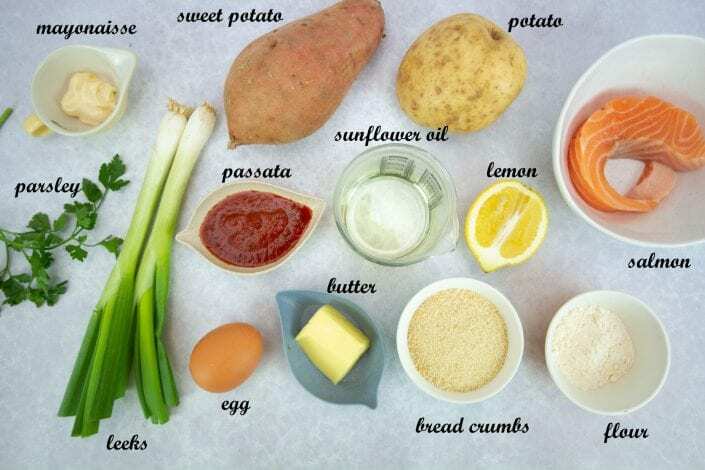 Add the finely chopped parsley, spring onions, passata and mayonnaise to the mashed potatoes. Season to taste with salt and pepper. Gently mix in the flaked salmon. Form the mixture into golf ball sized balls (approximately 1 ½ Tablespoon per ball). Set out 3 shallow bowls, one with flour, one with the egg (lightly beaten) and one with breadcrumbs. 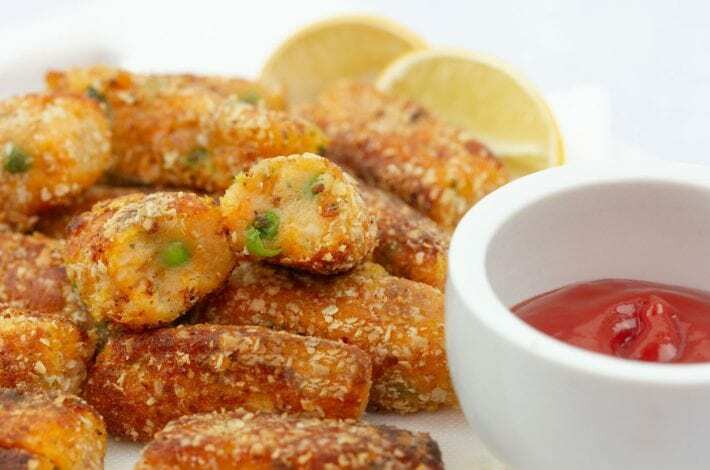 Dip each fish ball into the flour, then the egg and shaking off the excess, then into the breadcrumbs until coated. 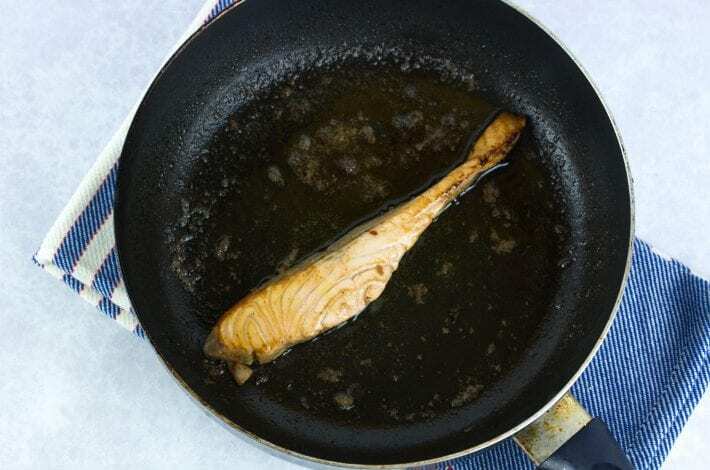 Heat the cooking oil in a fry pan. When the oil is hot, shallow fry the salmon balls, turning at regular intervals until the outside is crispy and golden. Serve with some pasta, rice or vegetables for a nutritious dinner. Peel and chop your potatoes into cubes. Boil in salted water for 20-25 minutes, or until the potatoes are tender enough to mash with a fork. Drain the potatoes once they are cooked and mash them with a fork in a bowl. Put to one side. Now add the chopped parsley, spring onions, mayonnaise and passata to the mashed potatoes and stir until everything is well combined. Heat your butter in a frying pan. Put your salmon fillet into the pan and squeeze the lemon juice over the top. Grill the salmon, turning once, until it’s no longer pink in the middle. Remove the salmon, flake it, and gently mix it into the mashed potatoes mixture. Form the mixture into balls that are about the size of a golf ball. You can use your hands or an ice cream scoop to shape the mixture into balls. In shallow bowls set out the flour in one, the beaten egg in another and the breadcrumbs in the third. Heat the oil in a frying pan over a medium heat until hot. Place your salmon balls into the oil and immediately turn them over so that they are coated in hot oil. Lower the heat and continue to cook, turning the balls frequently until the exterior is golden and crunchy and the inside is cooked through. 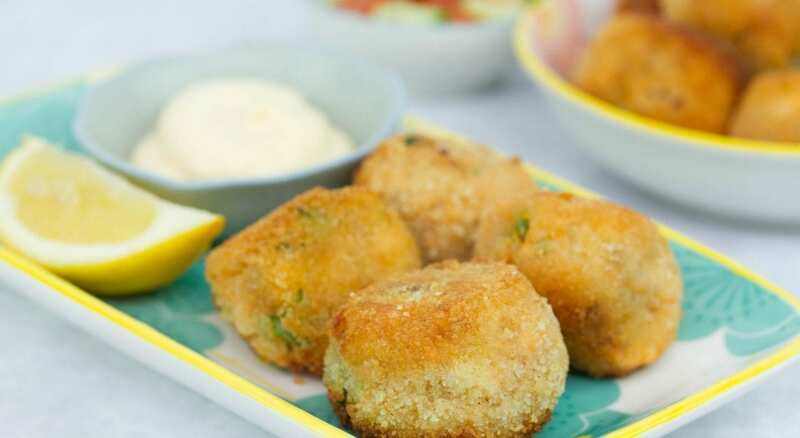 Enjoy your salmon fish balls with a wedge of lemon and a bit of mayonnaise! For more tasty recipes see our Chicken and apple meatballs.